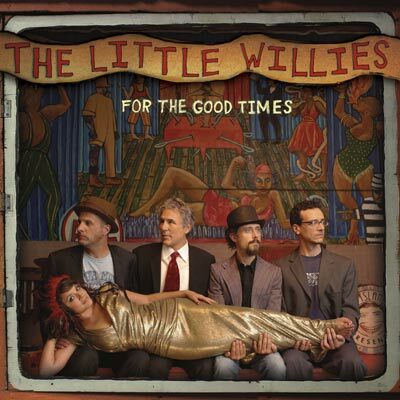 The Little Willies - Lee Alexander (bass), Jim Campilongo (guitar), Norah Jones (piano, vocals), Richard Julian (guitar, vocals) and Dan Rieser (drums) - have reconvened to record For The Good Times, the rousing follow-up to their eponymous 2006 debut. They first formed in 2003 as an avenue for the five friends to spend a night playing music together in New York City, but the gig proved too fun for both the musicians and audience for it to remain a one-off. They all grew up listening to a certain breed of classic American music, and relished the opportunity to perform some of their favorite country classics and lesser-known gems. For The Good Times is another stellar collection of country covers from some of their favorite songwriters including Loretta Lynn, Willie Nelson, Johnny Cash, Kris Kristofferson, Lefty Frizell and Dolly Parton.